Newsom says he's in El Salvador to show Trump's views don't reflect U.S.
California Gov. Gavin Newsom (D) said Sunday he's in El Salvador to let people know President Trump's views don't reflect the U.S., "that’s an individual in our country, who happens at this moment to be president." Why it matters: Newsom and Trump have clashed on several issues ahead of 2020 elections, as California spearheads liberal states' fight against the president. Trump has cut off federal aid to Guatemala, El Salvador and Honduras. 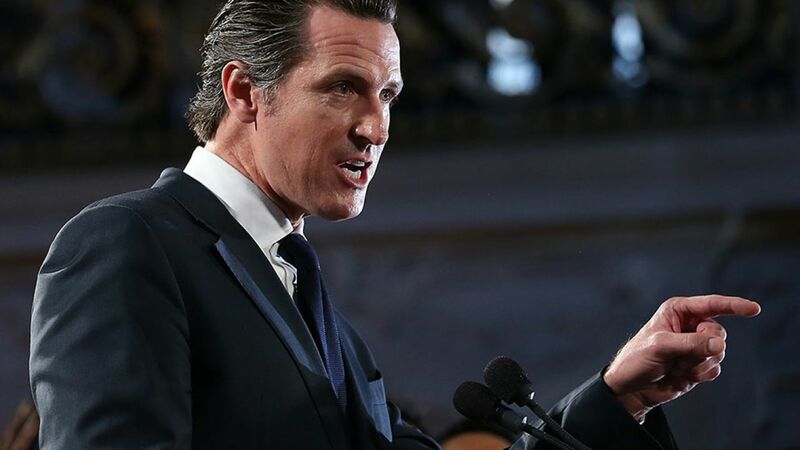 "You have a president that talks down to people in this country ... demoralizing folks living here and their relatives in the United States,” Newsom told reporters Sunday.